Lappeenranta (Swedish: Villmanstrand) is a city and municipality situated on the shore of the lake Saimaa in southeastern Finland, about 30 kilometres (19 miles) from the Russian border. It belongs to the region of South Karelia. With approximately 73,000 inhabitants (31 August 2017) Lappeenranta is the 13th largest city in Finland. 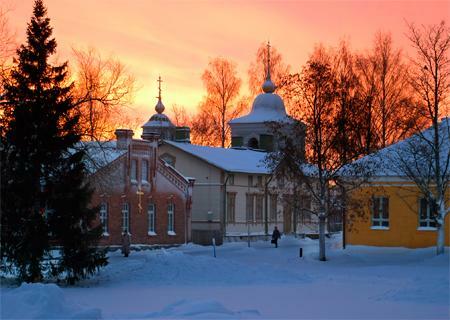 The neighboring municipality of Joutseno was consolidated with Lappeenranta on January 1, 2009, and the neighboring municipality of Ylämaa on January 1, 2010. Lappeenranta is known as an international university city in Finland with Lappeenranta University of Technology and Saimaa University of Applied Sciences which together have approximately 13,000 students from 68 countries. Lappeenranta is also a commercial centre of South-East Finland and the meeting point of the EU and Russia, 215 km from both Helsinki and St. Petersburg. Location on the southern shore of Lake Saimaa makes the city the region’s centre for tourism. Lappeenranta is the second most visited city by Russian tourists in Finland after Helsinki and it competes with Helsinki for the largest share of tax-free sales in Finland. Lappeenranta is a model for renewable energies and a clean living environment. Lappeenranta was the only Finnish city among the 14 finalists in the international Earth Hour City Challenge 2014, organized by WWF.